DeWitt Clinton was born on March 2, 1769, in New Windsor, Orange County, New York, the son of James Clinton (1736-1812), a veteran of the French and Indian War and a Continental Army General of the American Revolution, and Mary DeWitt (1737-1795), a descendant of early Dutch settlers in New York. Four sons resulted from this union, of whom DeWitt was the second. Young Clinton's early education was begun by a Reverend Moffat, the pastor of the Presbyterian Church in the community where he was born. In 1782 he was transferred to the Academy of Kingston, one of the few public schools that had not been disrupted during the Revolutionary War. Kingston itself had been sacked and burned, but its Academy had managed to continue its mission unimpaired. In 1784, after he had mastered all its curricula, his father removed him from the Academy and carried him to New York to be enrolled at Columbia College, where he was admitted to the junior class. Clinton proved to be a very capable student and graduated in 1786 with a Bachelor of Arts degree with highest honors. After graduation he entered upon the study of law and was diligent in his studies, and his admission to the bar took place after the usual course of three years study and passing the examination prescribed by law. However, before he could establish a practice, the direction of his life was changed. His uncle, who happened to be the governor of New York, had need of a person both of great capacity and unquestioned fidelity as secretary. (This post had been filled by the elder brother of DeWitt Clinton, who unfortunately drowned in the Hudson.) Thus, from 1790 to 1795, Clinton filled the post of private secretary to the Governor, abandoning the profession of the law and entering into the career of politics. The life of Clinton was subsequently to become one of political strife into which he threw all the force of his ardent personality and brilliant talents, and in which he acquired but few close and really attached friends and made many bitter enemies. During this period, he was raised in Holland Lodge No. 16 (now No. 8) on September 3, 1790, and served as its master in 1793. He was knighted in "Holland Lodge" May 17, 1792. He then served in the New York state legislature from 1797 until 1802, where he pushed for the passage of sanitary laws, the relief of prisoners for debt, and the abolition of slavery in the state. He was elected to the United States Senate in 1802 but resigned a year later to become Mayor of New York City, an office he held from 1803 to 1807, 1810, 1811, 1813, and 1814. While Mayor he organized the Historical Society of New York in 1804 and was its president; he also organized the Academy of Fine Arts in 1808. He served as lieutenant governor of New York 1811-1813. In 1812 Clinton ran for United States President under the Federalists and anti-war Republican nomination but was defeated by James Madison, Madison receiving 128 electoral votes to Clinton's 89. Politically, perhaps Clinton's greatest claim to fame was his championing the construction of the Erie Canal. A canal connecting the Hudson River at Albany to Lake Erie at Buffalo was an early dream for New York settlers. Such a canal was needed to connect the eastern and western parts of the state because of overland traveling difficulties and impediments as well as to provide an avenue for commerce to Lake Erie and beyond. The distance proposed for the canal was 363 miles, longer than had ever been attempted in the United States. The project was considered impossible by many who cited lack of funds, untrained engineers, and difficult terrain. Clinton, then mayor of New York City, believed that such a canal was vital to the interests of his state. Wanting his city to be perceived as being as progressive and cosmopolitan as Boston and Philadelphia, Clinton threw all his political weight behind the project, beginning a canal fund and enlisting the support of future President Martin Van Buren in the state senate. He enthusiastically backed a popularly supported petition to the legislature, demanding that a canal be built; eventually, it carried over one hundred thousand signatures. Impetus for the project increased during the early teens, surveys continued, engineers were trained in England and Holland, and the federal government was expected to provide partial financial aid.In 1816, the plans were delayed when the Bonus Bill, the vital legislation for national funding, was vetoed by President James Madison. Clinton, although he did not have adequate state funding at the time, decided to go ahead with his plans. As he was running for state governor at the time, he could not delay the canal any longer. However, the veto of the Bonus Bill fortified the state's sense of resolution and independence, and by April of 1817, a canal bill was passed, guaranteeing funds for the completion of the project. On July 4, 1817, ground was broken at Utica, New York and construction began simultaneously to the east and west. The building of the Erie Canal continued for eight years. As Clinton's political fortunes varied, so did the popularity of the canal project. Often known as "Clinton's Ditch" and "Clinton's Folly," the canal and its supporters were frequently criticized by the New York press. Clinton, who had won the governorship in 1817, was voted out of office in 1822 and removed from the Canal Board by his political enemies in 1824. Using his "martyrdom" and popular support, Clinton rode the excitement as the canal neared completion and was re-elected as governor in 1825, in time to preside over the Erie Canal's opening ceremonies in October of 1825. The celebration lasted ten days as Governor Clinton traveled the length of the canal in a packet boat, receiving plaudits at every town. The canal provided outstanding revenue for the state of New York. Making a profit in its first year, the canal steadily made money until the tolls were abolished in 1883; this was not usually the case with later canals. Also unique to the Erie Canal was the fact that it survived the rise of the railroads. The tonnage on the canal continued to increase well past the time of the Civil War, finally peaking in 1872. The year 1825 was marked by an incident which produced a change in the New York political scene and for a time upset the calculations of the most experienced politicians. A certain William Morgan, residing at Batavia in Genesee County, had undertaken to publish the secrets of Freemasonry. This had been resented by some over-zealous brethren of the Craft, and Morgan was abducted, never to be seen again, and was assumed by many to have been murdered by the Masons. Clinton, as we have seen, became a Freemason at an early age and had been elected to the highest offices of the Fraternity. In this capacity, it appears from his correspondence that he was repeatedly asked for advice as to the nature of the Masonic obligations. Replies to such requests occur in his letters long before the excitement caused by the disappearance of Morgan arose. They are of consistent wording and declare Masonic obligations to be lesser in nature to the duties of the man, the citizen, and the Christian, to which, if found in opposition, they, in his opinion, should in all respects yield. When Clinton became a candidate for re-election in 1825, the fact of his being a Mason was made use of by his political foes in an attempt to weaken his popularity. The opponents of Clinton were unable to decrease his established popularity with the people, but that very popularity was the cause of overconfidence on the part of his friends. From this cause, the vote was smaller than that of the previous election. It was estimated that from twenty to thirty thousand voters did not put in their ballots and that all of these were persons, who had they voted, would have voted for Clinton. In spite of this, he was re-elected by a majority of upward of four thousand. He did not, however, waver in the strict fulfillment of his duties. Every power of his mind and every prerogative he possessed as governor were called into action for the purpose of bringing the Batavia offenders to justice, and the anxiety he felt that the supremacy of the law should be vindicated seems to have pressed upon his already declining health. On the other hand, he could not avoid expressing his surprise that the unauthorized and disavowed acts of a few ill-judging persons should be made the grounds of proscription against all the members of the Masonic fraternity. In addition to his interest in politics and public improvements, he devoted much study to the natural sciences. Among his published works are a Memoir on the Antiquities of Western New York (1818) and Letters on the Natural History and Internal Resources of New York (1822). He also had the distinction of being pictured on the $1,000 United States note, series of 1880. Turning now to his Masonic career, he served as Grand Master of the Grand Lodge of New York from 1806-1819. He also served as Grand High Priest of the Grand Chapter Royal Arch Masons of New York in 1798 and General Grand High Priest of the General Grand Chapter Royal Arch Masons of the United States from 1816-1826. He served as Grand Commander of the Grand Commandery Knights Templar of New York from 1814-1828 and as Grand Master of the Grand Encampment of Knights Templar of the United States from 1818-1828. The birth of the Grand Encampment in the United States is not without interest. The most important event in this era of Templar history was the organization in 1805, at the city of Providence, of the Grand Encampment of Massachusetts and Rhode Island. This is especially true because the Templars responsible for its organization were almost identically those who subsequently in 1816 participated in the organization of our present governing body. Thomas Smith Webb, founder of St. John's Encampment in Providence in 1802, presiding officer from 1805 to 1817 of what is now called the Grand Commandery of Massachusetts and Rhode Island, and Deputy Grand Master from 1816 until his death in 1819 of the General Grand Encampment of the United States, was born in Boston in 1771, and was made a Mason in New Hampshire in 1792, a Royal Arch Mason in Philadelphia in 1796, and a Knight Templar sometime previous to 1802, either in Temple Encampment at Albany, in a Philadelphia encampment, in the Boston Encampment, or in the Old Encampment of New York City, all four of which still claim the honor. He was the author of several successive editions of The Free Mason's Monitor; was an organizer of great ability; and had an attractive personality, a winsome manner with indefatigable energy, and a great versatility of language, both written and oral, all which joined in making for him the high reputation which he has since held as a Masonic ritualist and organizer. He has been said to have invented the American system of Templary, and there is no doubt that he, along with Fowle (see below), was responsible for the present impressive ceremonies, not only of the Templar order but, in a large measure, of Craft Masonry and the Royal Arch system. He died suddenly on July 6, 1819, while on a visit to Cleveland, Ohio and was buried there just shortly prior to the second Triennial session of our Grand Encampment. His remains were subsequently removed to the North Burial Ground at Providence, Rhode Island where a monument of white marble has been erected to his memory. Henry Fowle, first Sovereign Master of Boston Encampment of Red Cross Knights and Grand Master of that Encampment when it was reorganized as a Templar body in 1806, which office he held until 1824, Grand Generalissimo of the Grand Commandery of Massachusetts and Rhode Island from its organization in 1805 until 1817, then its Deputy Grand Master and subsequently its Grand Master from 1820 to 1825, was named Grand Generalissimo of the General Grand Encampment at its organization in 1816 and was elected Deputy Grand Master at the Triennial Conclave in 1819. Sir Knight Fowle was a member of St. Andrew's Chapter of Boston, where he received the Knight Templar degree on the 28th of January, 1795. He was a great friend of Webb and a ritualist of a very high order. He was a well-known lecturer, and his powers of organization made him, when working in conjunction with Webb, a potent factor in all branches of Masonic work. To the efforts of these two men is due the organization of what is known at present as the Grand Commandery of Massachusetts and Rhode Island and also that of our present governing body to which reference will be made later. 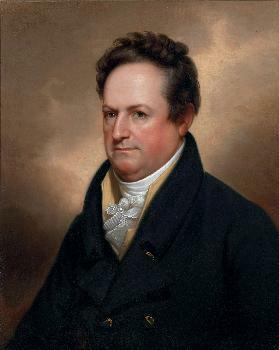 DeWitt Clinton, as we have seen, was a lawyer, a statesman, and a patriot and with Webb and Fowle formed a combination to which is largely due the present status of Templary in the United States. The Grand Encampment of New York was organized in 1814 and was in a great measure an outgrowth from the "Sovereign Grand Consistory," a purported Scottish Rite body organized by Joseph Cerneau. Sir Knight Marshall is a Past Grand Commander and Past Grand High Priest of Alabama and is currently serving as Grand Illustrious Master of the Grand Council Royal and Select Masters of Alabama. He is the author of several articles and book reviews in the Royal Arch Mason and Knight Templar magazines. He can be reached at geomarsh@yahoo.com.